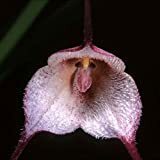 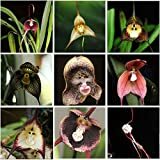 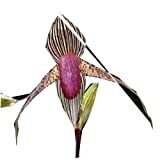 Dracula simia orchid for sale – Easy plant to grow and grow for the ornamental flowers and for the leaves, planting all year better to buy plant, rhizome or another option to start from seeds yet more challenging. 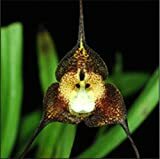 Dracula simia orchid for sale – What need to know before planting Dracula simia plant? 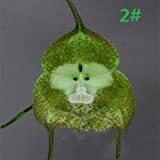 Is it possible to start from seeds? 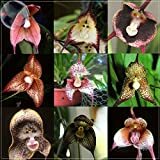 Recommend starting from seeds, grafted plant or cutting? 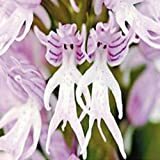 What kind of life form Monkey orchid grows? 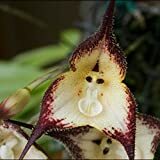 Dracula simia plant cold (subtropical) no frost, cold temp: 6-8c night 20c day (not hot summer), high humidity 65%+, soil sphagnum moss with little bark, the pot need to be open (with big holes) for the flowers and growth, full shade.